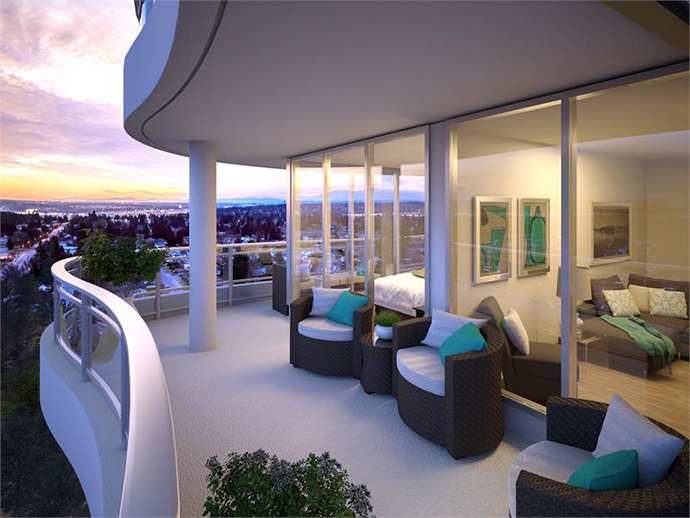 The Vancouver Condo Buzz » From $199,900! Spectacular New WYND Surrey City Centre Condo Tower with Spacious 1 to 3 Bed+Study Floor Plans! « From Mid $200’s! Boutique FRAMEWORK Vancouver Condos in Chinatown/Gastown by Porte > Great Studio to 2 Bed+Flex Floor Plans Available! Getting ahead of the curve > Surrey City Centre master planned community now introduces WYND Condos. Get more of what truly matters here at Wynd Surrey. With more room and more rooms, large outdoor view patios and balconies, and of course, amazing contemporary architecture in a dynamic and growing community, the Wynd Surrey City Centre condo tower will put you ahead of the curve with a property investment you can live in today and benefit from for many years to come. Best of all, the new Surrey City Centre condos at Wynd Living start from an incredible $199,900! Introducing one, two and three bedroom floor plans that are ideal for first time homebuyers to investors and from couples and families to downsizers and retirees. Designed for practical urban living, the new Wynd Surrey condos will feature modern interiors that are light filled and healthy in addition to balconies that are on average 30% larger than their nearest competitors. Wynd makes indoor/outdoor living a natural way of life. The homes will also provide incredible views in every direction, including panoramas of the local mountains, water and city below. The developer for the new Wynd Surrey condos is Rize Alliance, a boutique yet very established builder in the local market known for their quality craftsmanship, customer service and unique design. Visit www.wyndliving.com for more details. WYND Surrey gives you more room and more rooms, unbeatable outdoor space and unmatched value. Together, it all adds up to an investment you can actually live in. 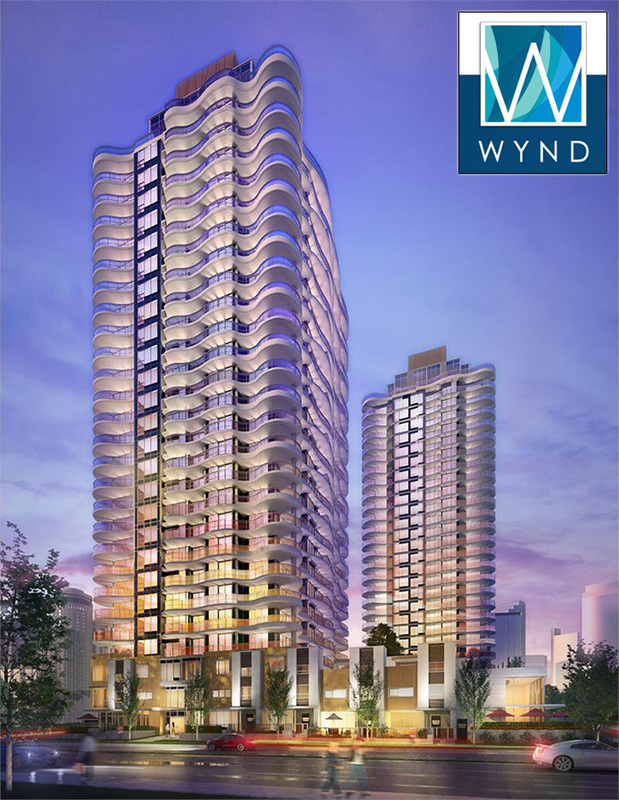 Introducing WYND by Rize Alliance, coming soon to Surrey City Central. WYND gives you more room and more rooms, unbeatable outdoor space and unmatched value. All this in a prime location, just moments from SkyTrain access and endless amenities, such as Central City Shopping Centre, Simon Fraser University, and Holland Park. With one, two and three bedroom homes available, WYND is an investment you can actually live in. Get Lots More from Just $199,900! Affordable New Surrey Condos are Now Here! Previews for Wynd Surrey is coming Saturday May 24th with presales coming there shortly afterwards. The presentation centre and show homes are previewing at 10375 – 133rd Street Surrey BC and they will be open daily except Fridays between noon to 5pm. The most affordable 2 and 3 bedroom family sized condos will be coming soon to Wynd Surrey City Centre condos which is marketed as a ‘game changer’ for the Greater Vancouver real estate market. With efficient and brand new two bedroom homes from $239,900 as well as three bedroom homes with 3 bathrooms from just $389,900, the Surrey WYND condos is garnering a lot of attention for not only it’s price points but also its amazing location within the new hub in Lower Mainland. Brought to you by Rize Alliance and following the highly successful launch at WAVE condo tower, WYND Surrey City Centre high-rise will be 28 storeys in height and will be built at 103 Avenue and 133rd Street Surrey BC. There will be a total of 237 suites for sale with 9 ground level townhomes. A combination of Metrotown and Yaletown makes Surrey City Centre the place to be and the urban centre in the fastest growing city in Canada. Here, you will find the new SFU campus, Civic Hall, SkyTrain Stations, Community Plaza, library, recreation centre and Central City Shopping just to name a few points of highlight. The floor plans will range in size between 630 to 950 square feet with a unique selection of 1 to 3 bedroom layouts. As well, the homes will have massive outdoor living areas. The building itself will feature great amenities that include a rooftop deck, landscaped courtyard with BBQ and patio, fitness room, lounge and even a children’s play area. Four SkyTrain stations and a network of other transit options, SFU, a mix of residential and commercial, a new downtown with a large outdoor plaza big enough to hold thousands of people – the future lives here in Surrey City Centre. In just over a decade, Surrey will be bigger than Vancouver and its Surrey City Centre will be the new downtown. Even today, Surrey’s job growth and investment potential is the best in the province. Wynd Surrey condos is the beginning of the new Surrey City Centre, and owning here gives you a front row seat to the future. GET AHEAD OF THE CURVE – Get more of what matters at Wynd Surrey. More room and more rooms, massive balconies and amazing architecture – all in a dynamic and new community. Wynd Surrey condos puts you ahead of the curve with a real estate investment you can live in today and benefit from tomorrow. 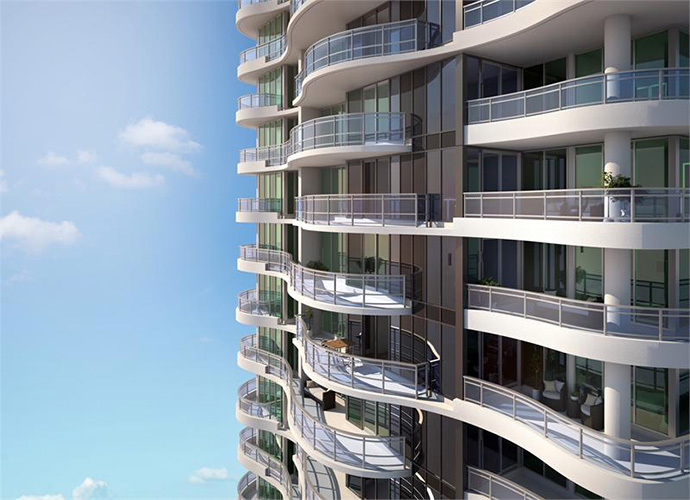 The new Surrey Wynd condo tower is brought to you by RIZE Alliance developers.